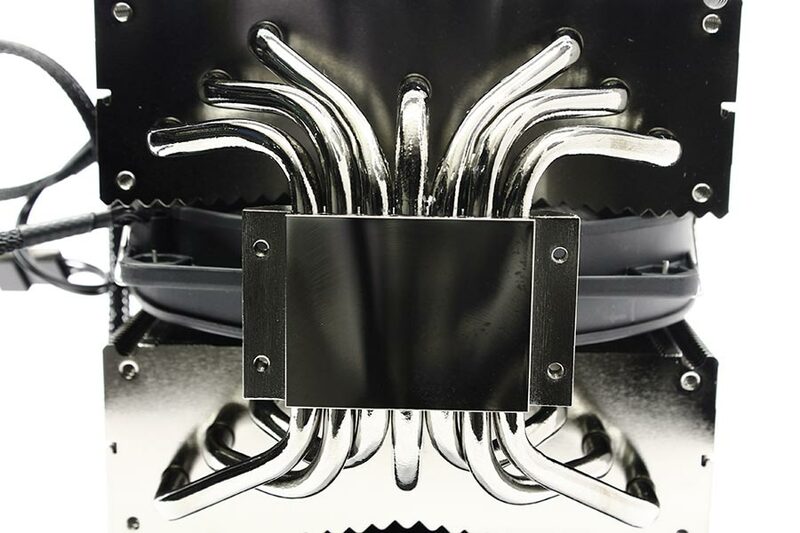 The mounting system is one of the most important features of any cooler, we’ve tested quite a collection and the system that comes with the Dark Rock Pro 2 is excellent. Installation is easy, hold the back plate into the rear of your motherboard, put screws through the holes and put little black plastic clips onto the screws to hold them in place. 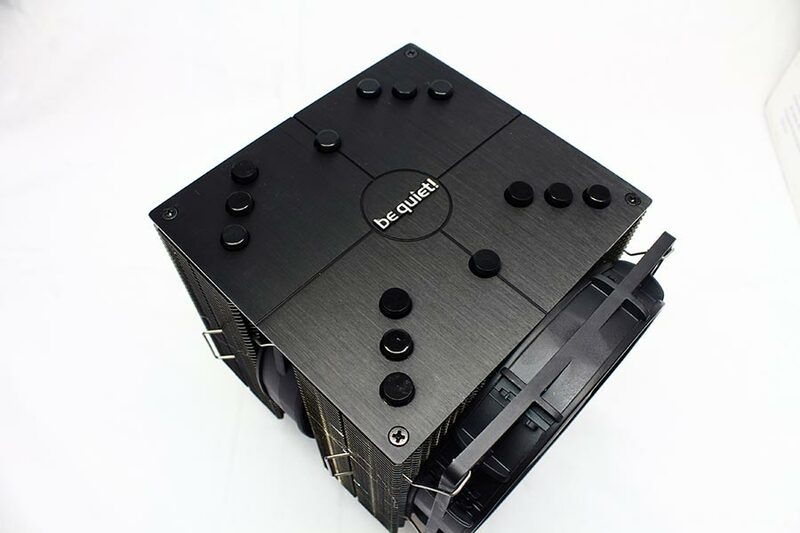 This is possibly one of the best ideas when it comes to mounting a CPU cooler. 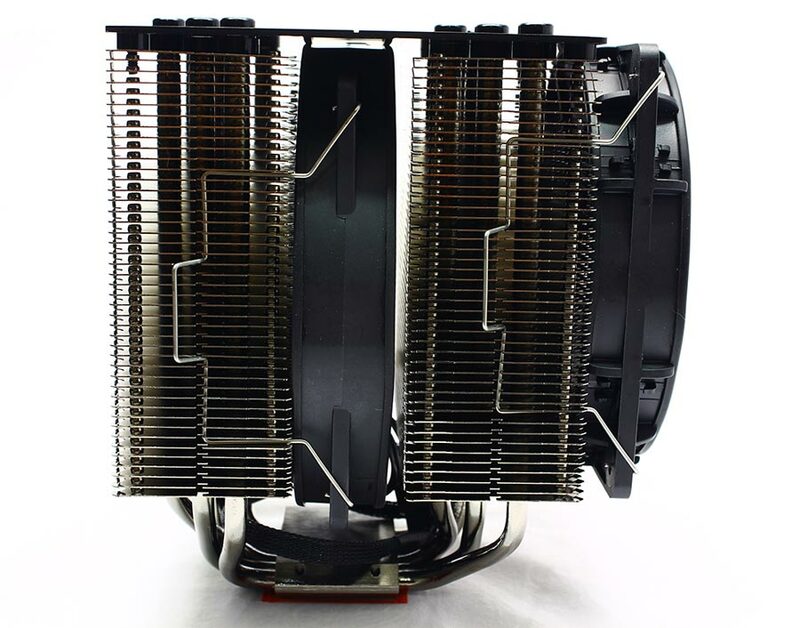 Once mounted the cooler is held very tightly and is certainly not going anywhere. The included thermal paste is the second best in our testing, only .5C behind Prolimatech PX3, excellent! The Dark Rock Pro 2 has a large brushed aluminium top cover which simply looks awesome and is an excellent way of covering the top. Looking side on at the cooler we see the layout and where the magic happens. 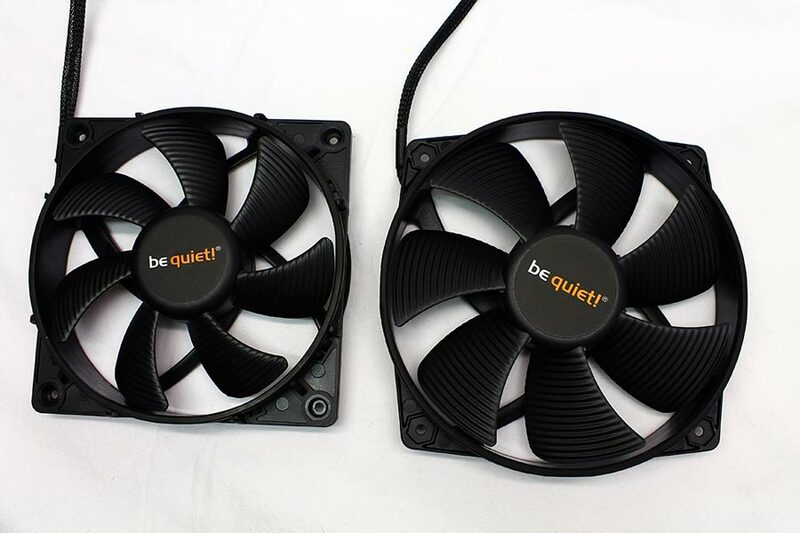 On the front is a 120mm fan and in the middle a 135mm fan. The rear of the cooler. 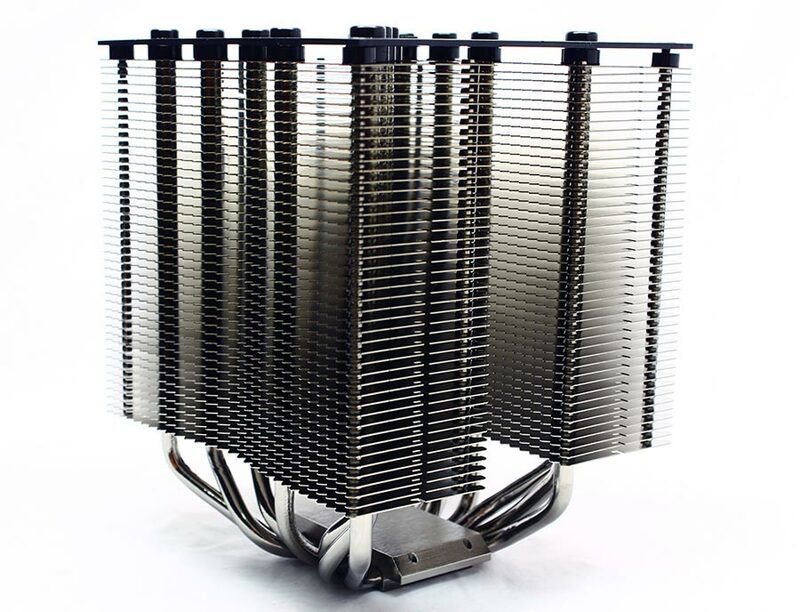 The base of this cooler is extremely flat and is machined to a near mirror finish. 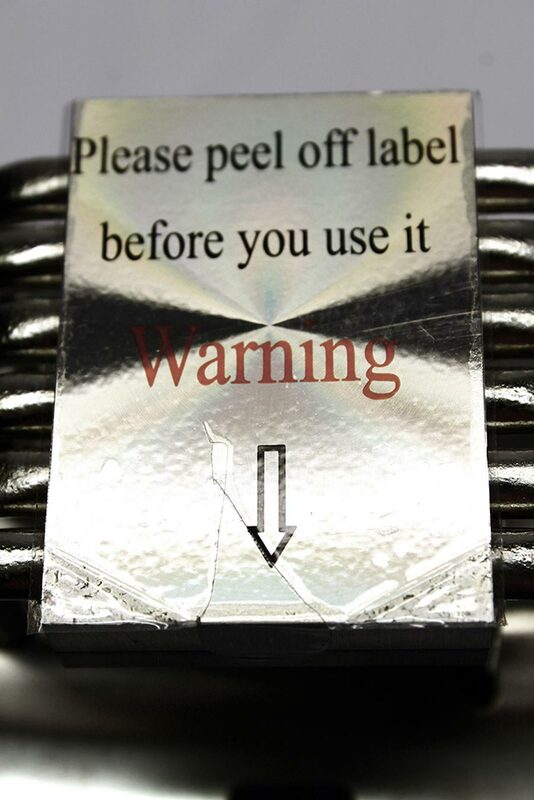 The heatpipes are all 6mm thick, all SEVEN of them! 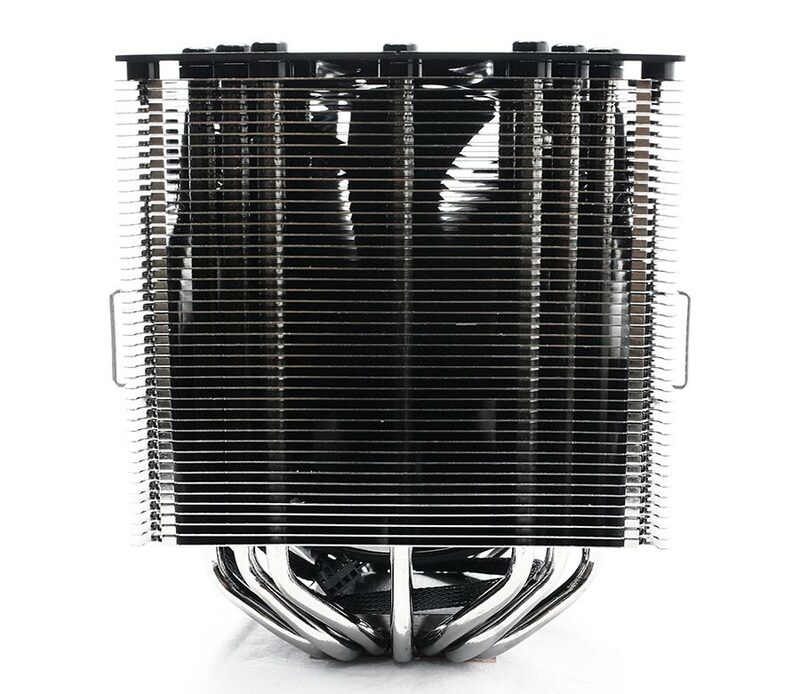 I don’t think I know of any cooler with quite this many. The layout is ideal for all modern CPUs and does extremely well on the latest Ivy bridge CPUs as we will see shortly. We decided to strip the cooler down to its bare essentials to get a good look of how it’s constructed. The Black tops on the heatpipes are most likely glued on so we didn’t attempt to remove them. 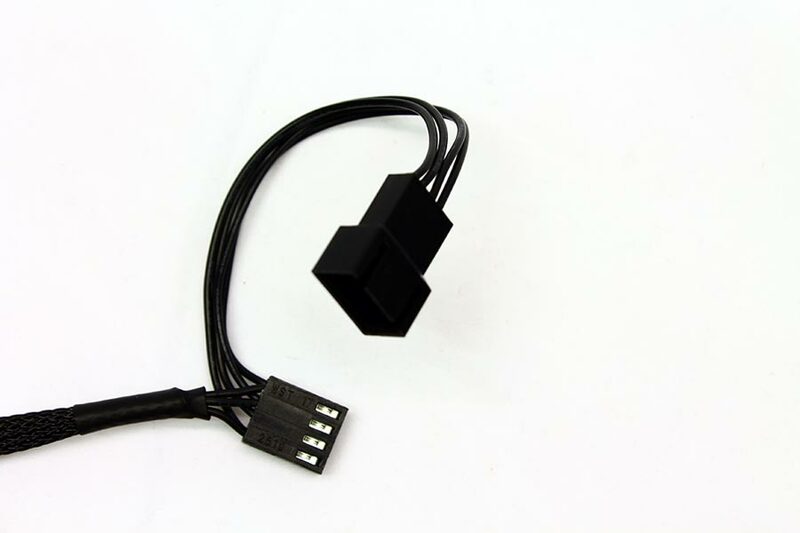 The 120mm fan has these connecters on the end of its cables so both fans are controlled by one 4 pin header.